Having performed in over 200 cities around the globe and with thousands upon thousands of nights behind the decks Jay has performed at every type of nightclub, warehouse party, illegal street party,Radio station and lounge. His signature fusion of Detroit textures and intricate rhythms has pushed him "ahead of everyone else," according to DJ magazine. Jay has always been a dj 1st and and a producer second,with close to over 20 years as a specialised dj the craft of djing is something Jay is passionate about. When Jay shows up armed with hundreds of personal re edits, promos, and unreleased tracks, u know that one of his signature sets will be a heartfelt departure from the typical playlists of most djs as Jay selects his songs based on what moves him personally,instead of whats in the top 10. The last decade of Jay Tripwire have sold over 250,000 vinyl records and he has 100+ releases and remixes. 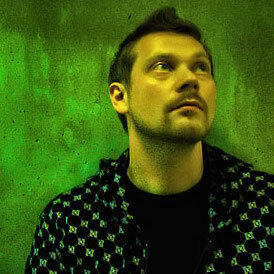 His productions have been called "a DJ's dream packed with the finest tools from the trade" by URB, and that he's "responsible for some of the most exciting underground house music to come out of North America in recent years" by DJ Magazine. Jay's productions have been featured on numerous commercially released mix CD's, notably from Cocoon, Fabric, Renaissance, Journeys by DJ, Ultra & Bedrock by many major artists, and is supported by a diverse spectrum of dance culture from house luminaries such as Doc Martin and Mark Farina to techno legends such as MR C and Laurent Garnier to progressive innovators as John Digweed and Danny Howells that illustrates Jays long term mass appeal amongst dj's and fans alike.